John just can’t stop running … and smiling! He’s got a made-for-TV smile and a spirit that just won’t quit. 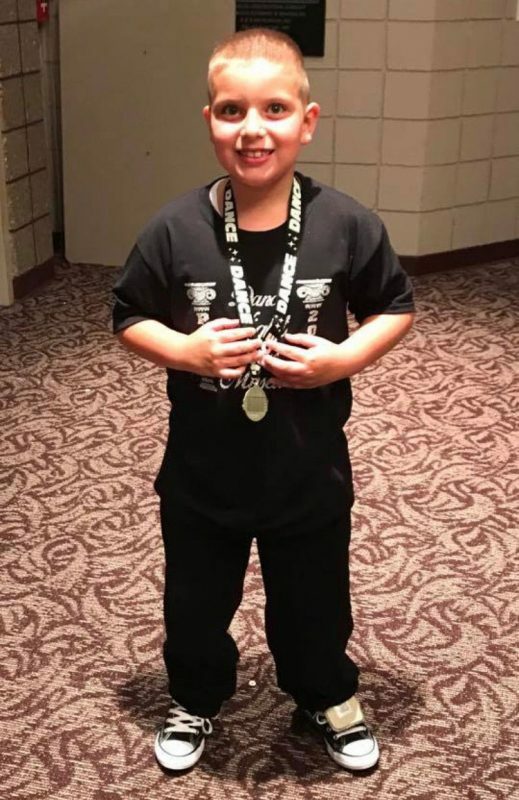 When 8-year-old John Lamm walks, runs, plays hockey and even breakdances around his hometown of Girard, Ohio, you wouldn’t know about the difficult odds he overcame; nor the 29 surgeries he’s endured. 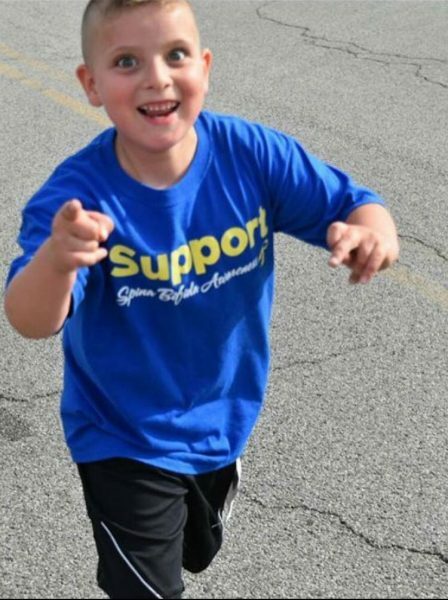 As documented in a popular 30-second television commercial for Akron Children’s Hospital in 2015, John perseveres and continues to see past any physical barriers others put in front of him. 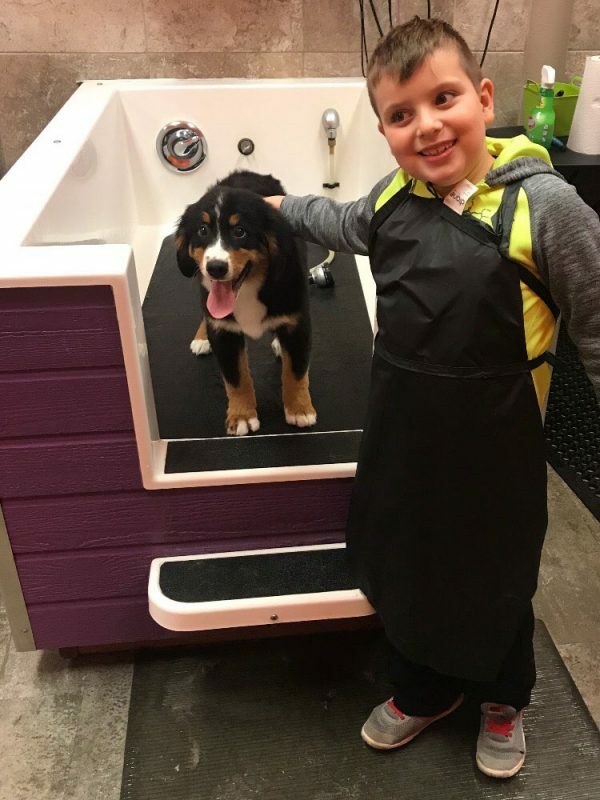 During pregnancy, Kim Lamm’s 37-week ultrasound showed signs of spina bifida and swelling on her baby’s brain, so she was referred to Akron Children’s Hospital’s Fetal Treatment Center for a closer look. At the center, clinicians consult on a variety of in-utero conditions and help families understand more about their baby’s health and what to expect after the child is born. Services there include high resolution fetal ultrasound, genetic screening and testing, and treatment options ranging from medications to in-utero surgeries. For the Lamms, those blanks included reassurances about the specifics of John’s true condition. An all-boys hip hop dance class is one of John’s many interests. The Lamms were also told John would need surgery within 24 hours after birth to address a hole on his spine and give him a chance at walking. “Having a child diagnosed with a birth defect can be a crisis for a family, and we spend a lot of time educating families to give back control with information, hand holding and support from start to finish,” Krepkovich said. “Our mission is to provide exceptional and compassionate care from diagnosis through delivery and ongoing pediatric care,” added Dr. Melissa Mancuso, a high-risk obstetrician and chair of the Maternal Fetal Medicine. John was born 5 days after the appointment in the Fetal Treatment Center. And they haven’t stopped moving since. The soon-to-be second grader feels great today, his mother said. Rocco gives John another excuse to keep active. Like many boys his age, he loves recess, gym and lunch. And like his Ohio state trooper father, John, he’s obsessed with anything police-related; especially K9 officers. In winters he plays sled hockey. In the fall he plays soccer. He’s also in an all-boys hip hop dance class, and annually participates in the Run of the Mill 1-mile road race in neighboring McDonald. The Lamms credit Dr. Mancuso, neurosurgeons Dr. Tsulee Chen and Dr. Gwyneth Hughes, and orthopedist Dr. Kerwyn Jones, among many other physicians, nurses and staff members at Akron Children’s for their son’s care.